Our top of the line Starcraft SLS3 is 24-feet of family fun. With room for 12 people and a Honda 150HP engine, it’s powerful enough to pull a four-person tube while comfortable enough to host a large group. Through our partnership with Bethpage Campground, we offer daily and weekly rentals available for all your summer fun! Click the “Book Now” button or call us today at 804-776-9211 for more information. We look forward to hosting you on the Rappahannock River! "Gusto" has true style, comfort, beauty and great performance. She won't be on the market long. 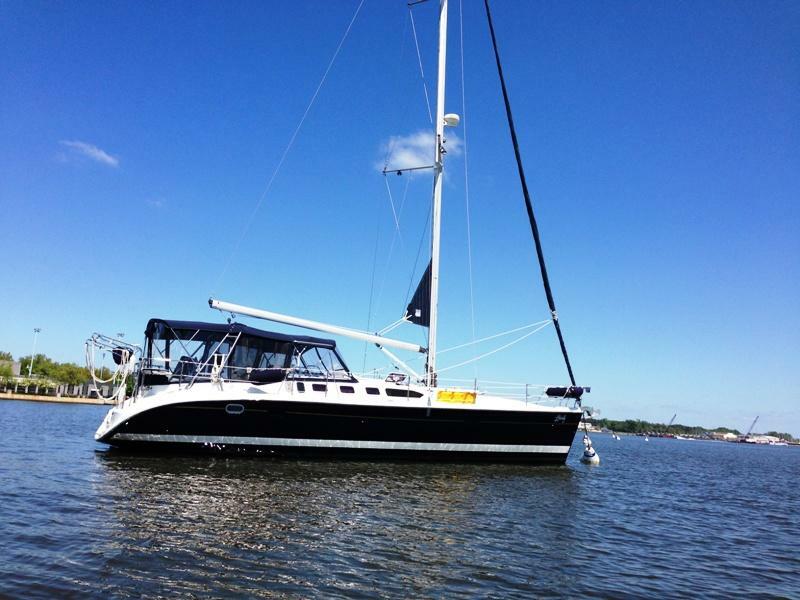 Call or email a broker today to join in the exciting lifestyle of sailing with this Hunter 46!